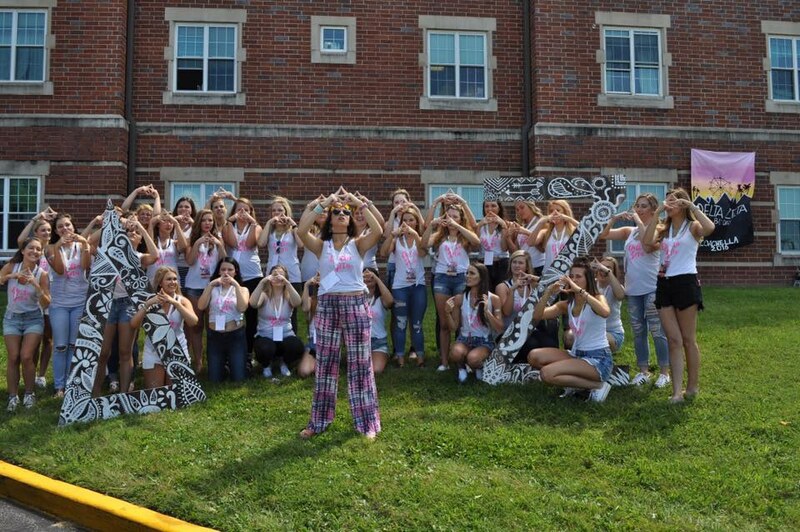 Now you know our ABCs, don’t you want to be a DZ? Because of our founders, Delta Zeta has connected thousands of women that hold the same values. They have laid the foundation for each and every DZ, and all the more that are still yet to come. As a new member, finding out who your big is can be extremely stressful, but the suspicion of the week pays off when you get to wrap your big in your arms. 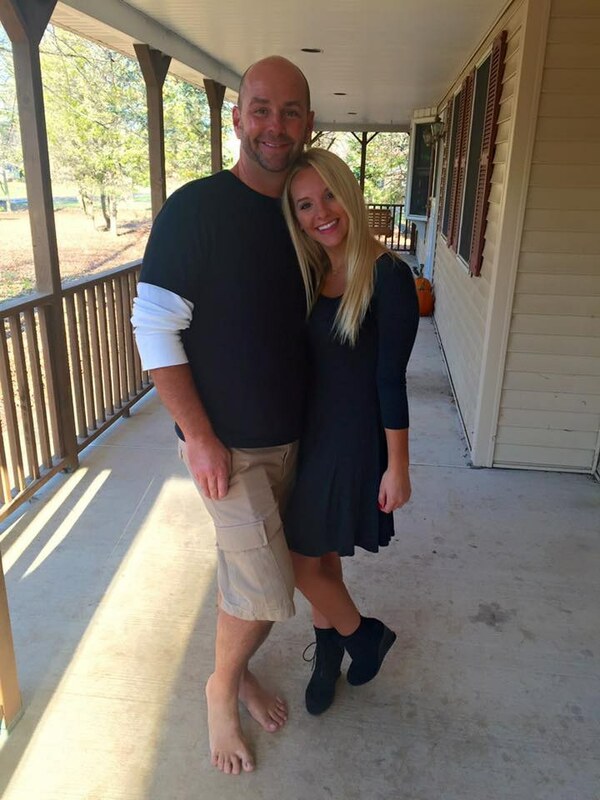 Growing the family is one of the greatest things about being in a sorority! These shirts are what we all live for. When the t-shirt chair mentions something in the group chat about potential new shirts, someone must ask if they are Comfort Colors. They are the comfiest shirts ever!! 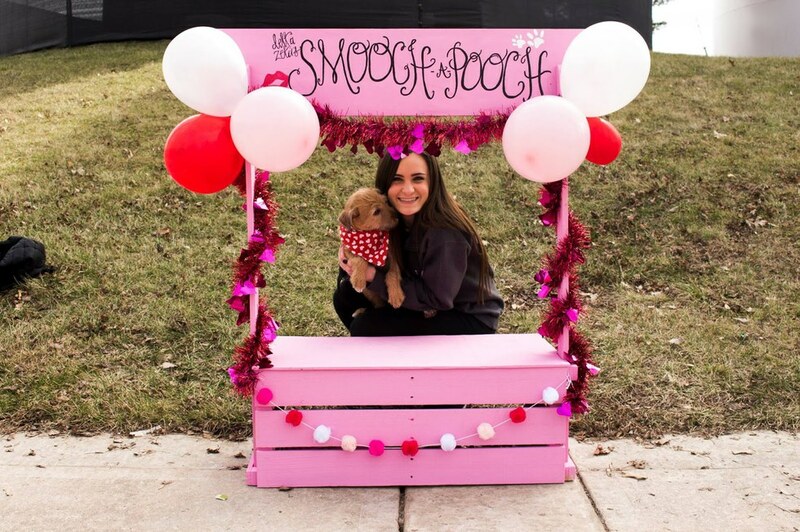 Diamonds are a girl's best friend, just like a Delta Zeta is anyone’s best friend. 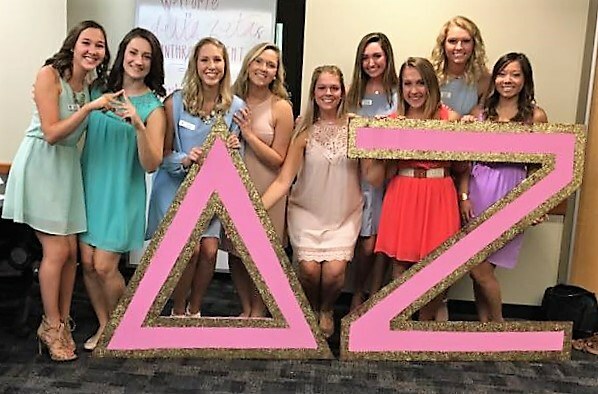 The jewel of Delta Zeta is a diamond, and it is quite fitting. We can all admit that the turtle, pink heart, and green heart are always in our recents, and they are found next to most of our sisters’ contact names in our phones. The women we surround ourselves with who are in Delta Zeta will someday be our bridesmaids because the foundation of the friendship is a sisterhood. It is a friendship that is truly special. Each of us shares so much with our sisters, whether it be good or bad news, we always have people to rejoice with or shoulders to cry on. G is for Giving graciously of what is mine. 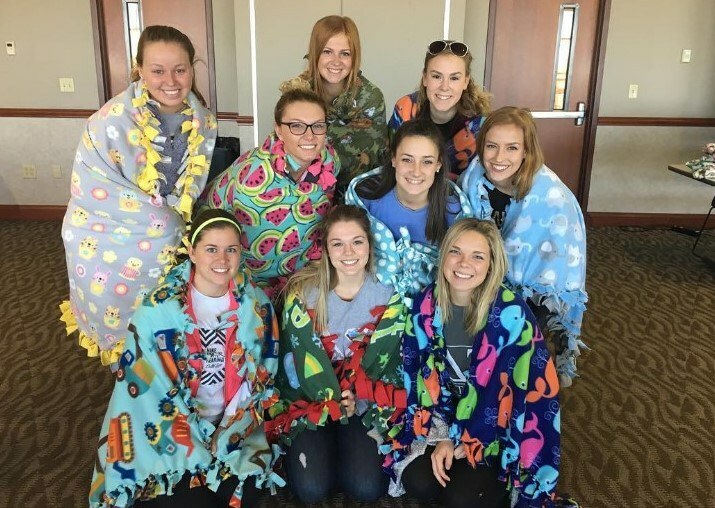 Giving back is incredibly important, and to be able to do so with your sisters by your side makes for an unforgettable experience. H is for Hand signs. You always have to check and double check that the hand sign is going the correct way. Aannnd when you go somewhere with a scenic view, it is a must that you snap a pic. We are all well-rounded women, and we take pride in that. We are able to learn balance with being involved in not only DZ but another organization of our choice as well. Bid day is the best day of the year!! We get to welcome our new turtles home, and we cannot wait to share the special sisterhood we have. Signing a bid to Delta Zeta is the best decision we have ever made. We will always remember that day. K is for kicking the stereotype to the curb. We are not easy, but we are for sure DZ. 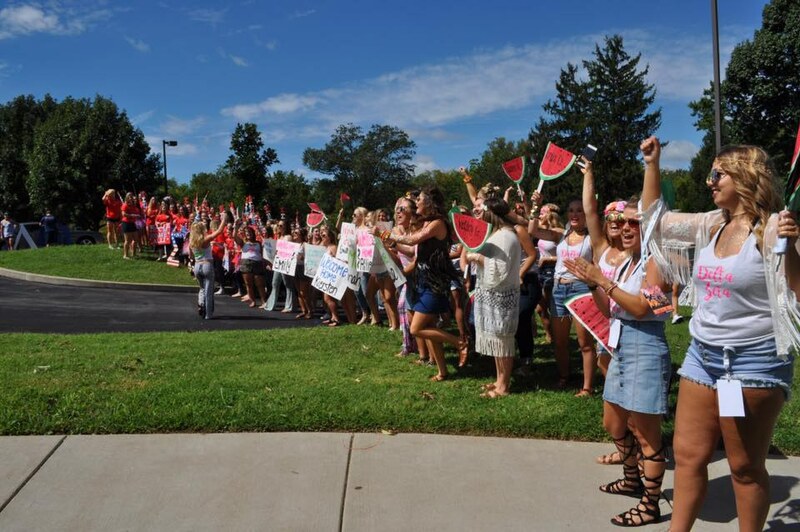 When becoming a Delta Zeta, we all know the stereotypes that come with it. But we all find so much joy in proving them wrong and laughing at the fact people even created them. Delta Zetas are ladies of high standards! 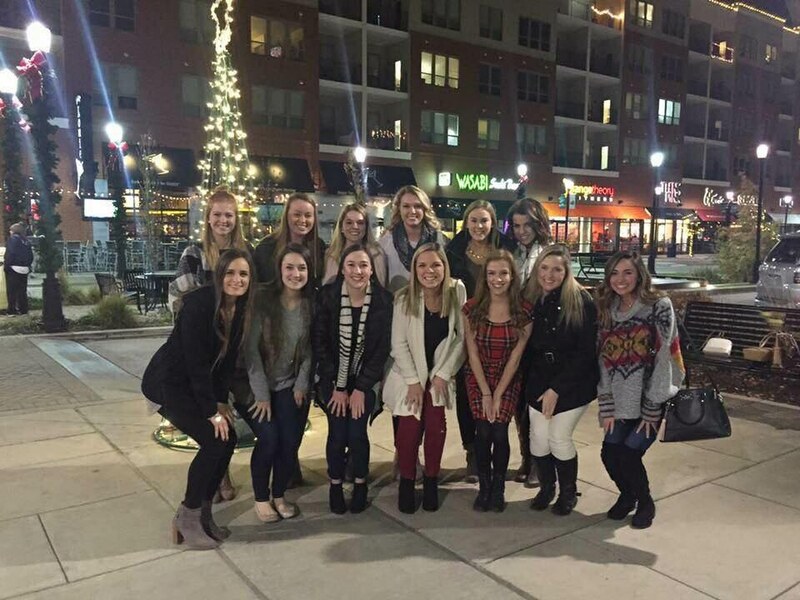 Although there are leadership positions within Delta Zeta, being a part of the sorority makes us all leaders. We are leaders in our community, we are leaders in our state, we are leaders in our nation. As women of value, we show leadership in all we do. N is for New t-shirts, so many t-shirts. Typical sorority girl, but who doesn’t enjoy getting new clothes?! Anddd, they have letters on them! Why not buy this one? And this one? And this one too? Okay, let’s just spend our whole paycheck on t-shirts because we love representing Delta Zeta so much. We could not be more thankful for Founder’s Day. To the six women who founded the greatest sorority of them all and to all of the women who have kept the sisterhood alive, we would not be able to enjoy such a special sisterhood and organization than we get to today without you. So thank you. Our national service project that enriches the lives of children with chronic or terminal illnesses. We love our little turtles and raising money to provide the camp free of charge to them. 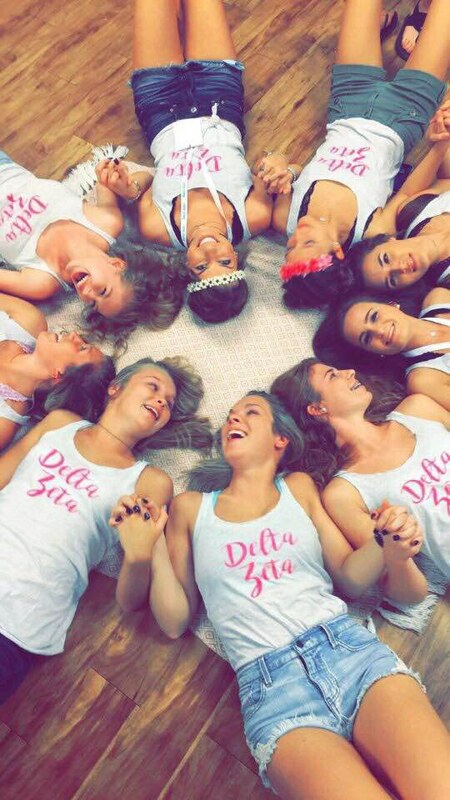 Sisterhood holds a special place in each of our hearts. Spending time in the chapter room together, getting ready for random events together, Bachelor nights, chapter meetings, philanthropy events, sleepovers, grabbing dinner, coffee dates, and so many more things. 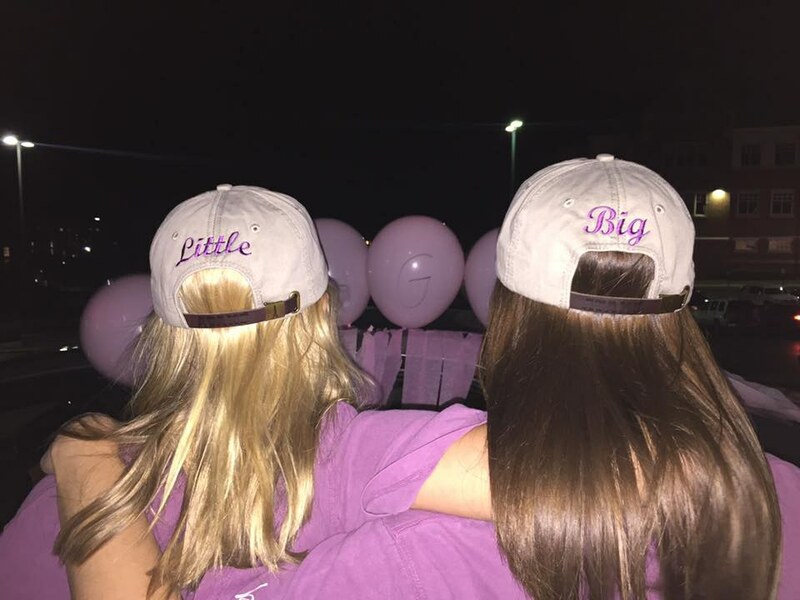 We know our sisters will be there for us through thick and thin. Being our support system away from home, our shoulders to cry on, our go-to girls, our sisterhood is such a blessing. DZ is our home away from home with our family away from our family. A week full of running purely on caffeine and getting ready for the new baby turtles. You fake that smile til you make it, and you chant until you no longer have a voice. But would you trade it for the world? Definitely not. Our National Philanthropy allows us to help people around the world hear. Not many people can say that they raised enough money to give someone to gift of hearing. It’s truly wonderful. Our animal could not possibly be any cuter. 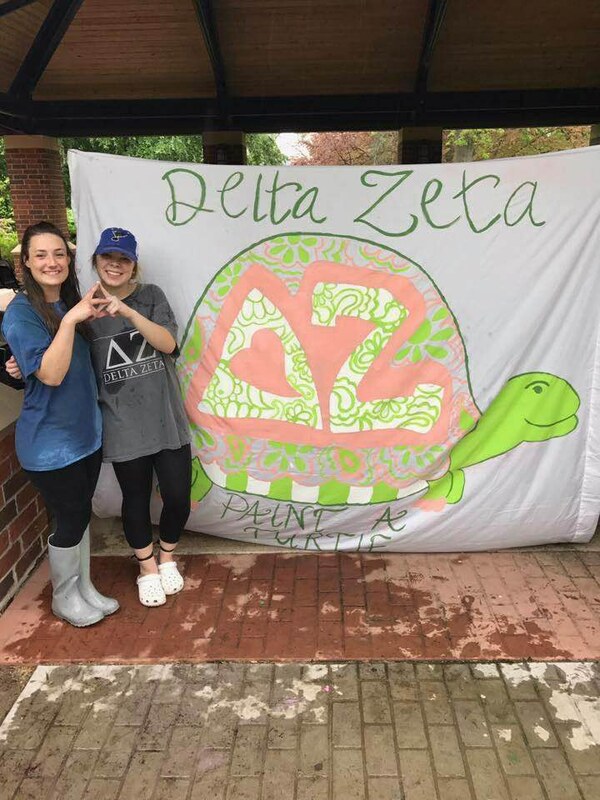 Turtles are precious, and every time you see a turtle you think of Delta Zeta and your sisters. U is for Understanding and appreciation. We promise this to our friends. In our creed, we state our values and the women we strive to be. Being understanding and appreciative to our friends is the foundation of a golden friendship. Our creed represents our values, and we are reminded of who we are and what we stand for throughout our active member period. We are held accountable to our values, from the moment we signed our bid and for our lifetime. Once a DZ, always a DZ. W is for Walk truly in the light of the flame. We promise this to ourselves in our creed, meaning we wish to carry on the traditions and values of being a Delta Zeta woman. Delta Zeta will be in our hearts, now and forever. Being a Delta Zeta woman is the greatest gift of them all. It is a lifelong journey, and we are all definitely enjoying the ride. X is for being eXactly where you want to be. Finding a home in Greek Life is a great feeling, but finding a home in Delta Zeta is the best feeling. With Delta Zeta, you are able to find yourself in this big world we live in. Although the sorority has many women, you are just as important as the rest. We all share the same values, encouraging and molding us into the people we are yet to become. Z is for Zealous about planning and putting on events. Attending other Greek Life events is fun, but seeing the progression of how an event starts and turns out is remarkable. The turnout of the event is awesome, but with the process, you grow closer to one another.